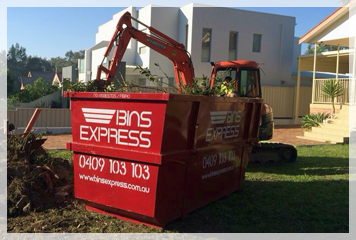 Bins Express is a family owned & operated business in Sydney. Bins Express offers easy and efficient rubbish removal. We service the Sydney Metropolitan area and have experience in the skip bin industry since 2005. We work professionally in order to provide you with prompt friendly service for all residential, builders / developers, construction, commercial & industrial clients. Bins Express has skip bins, mini skips and rubbish bins for hire in various sizes that are suitable for many jobs. Whether it’s a big or small renovation, construction or a household and garden clean up, Bins Express has the right skip bin for you! At Bins Express we offer same day delivery or pickup of your skip bin 7 days a week to ensure we meet the needs of all of our clients. Our skip bins range in sizes from 1.5 cubic metres to 12 cubic metres offering wheel barrow access to most bins. Bins Express aims to provide a safe and environmentally friendly service, committed to recycling a high percentage of the collected waste. At Bins Express we ensure we tip all waste at licensed waste disposal and recycling facilities throughout Sydney where waste can be sorted and separated to reduce the amount of waste in land fills.